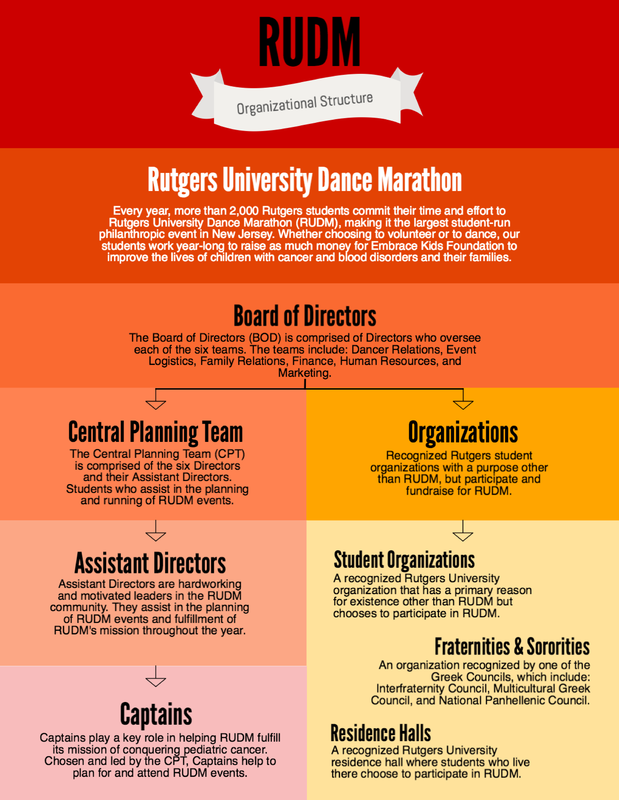 Every year, more than 2,000 Rutgers students commit their time and effort to Rutgers University Dance Marathon (RUDM), making it the largest student-run philanthropic event in New Jersey. Whether choosing to volunteer or to dance, our students work year-long to raise money for Embrace Kids Foundation to improve the lives of children with cancer, blood disorders, or sickle cell and their families. The RUDM leadership is called the Central Planning Team (CPT) and is comprised of six teams, each with one Director and one or more Assistant Directors.